changing stories | a giveaway! I’m a storyteller at heart, a writer through and through, and I think that my affinity for allegory is present in nearly every creative endeavor I embark upon. My photography certainly, my blogging, obviously, but my fashion, well, probably not. So I was enthralled and enchanted when I stumbled upon a company that allowed story to play a role in my (mildly obsessive) love for fashion as well. Id’ like to introduce you to Story Company (and my five minutes in the modeling industry!) Story company, like most things that start small, and with ample heart, had humble beginnings. Started after a trip to Africa, the company aimed to present women with opportunities otherwise not available to them. Women who live in extreme poverty and have no access to the global marketplace. Women – artisans, creators, weavers, potters, bead workers – who create amazing art. Through the sale of their handmade items, they are able to live a different story. A better story. A story with more opportunity and a brighter future. These women are given the chance to change their story. I wear this necklace almost non stop and is one of my most treasured accessories. I love it so much in fact, that I have no shame in being a self-proclaimed ambassador for it. Story also has an incredible Home Goods line, worthy of it’s own blog post. But we’ll save that for another day. 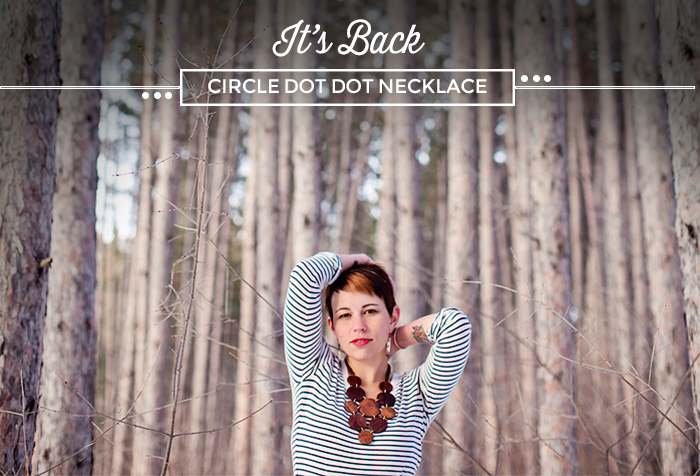 Because today….I have a circle dot necklace to give away!!! Yes. 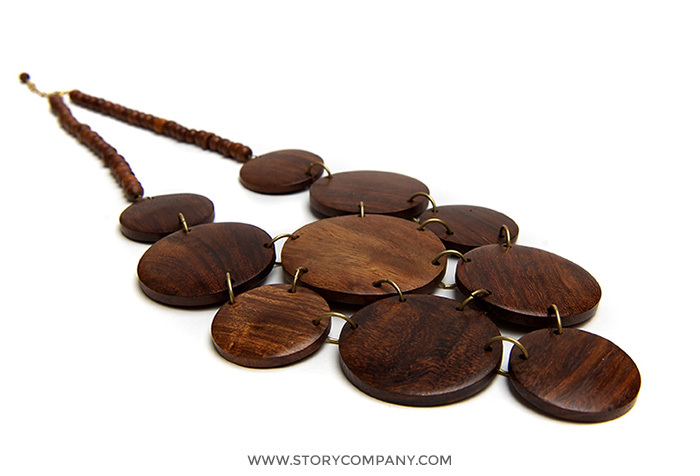 Story Company has graciously sent me a necklace to gift away to one lucky winner and I’m soooo honored to share it with you guys! So here are the details: To enter, simply visit the Story Company website and have a look around. Browse. Window shop. Fall helplessly in love. Then go to facebook (make sure to “like” Story Company) or Twitter or Instagram and let us know which is your most coveted item, making sure to mention @storycompany! Then, leave a comment here telling me you did so! Because the best way we can give back and pay forward, is by spreading the word about this company – the women behind it – and how each of us have the ability to be a story changer. How exactly are you supposed to pick one thing? I want all of the jewelry….okay, but if I have to narrow it down to one thing, I highly covet the Arrow Necklace. obsessing over everything.. the arrow necklace is my fave!!! eeep! :) so happy to support his athena. what an incredible organization! I love this necklace. And you. Equally. I’m not going to enter (because I already own this amazing piece of art) but I will cheer the winner — they will LOVE this!! i am torn between Arrows and Ladder. but mostly Ladder wins- because i like my necklaces to have little necklaces of their own. Soooo… I probably can’t win… But I needed to let people know what it means to have a company with a purpose. It’s pretty much amazing to see people giving back. With that said… There are 3 necklaces I NEED in my hands pretty much right away. Love these guys. Extremely well written miss lady! I can’t pick one. I love the style of eclectic pieces that they have. One of each please! Or I will love and hug forever the necklace if I win your fabulous give away. I love the Camari necklace and it will soon be in my collection. I’ve had my eye on the arrow necklace, and circle circle dot dot for quite a while now! I love the hobo bag! !